Keith “Corky” Eugene Byrtus, 74, passed away after complications of surgery in Gig Harbor Washington on Febuary 6, 2019. Corky was born in Whittier, California on May 17, 1944 to William and June Byrtus. He is deeply loved and will be missed every day by his family and friends. Corky was preceded in death by his parents, Bill and June Byrtus and by his beloved brother Don, whom he will be laid to rest next to. He is survived by the love of his life, wife, Betty “Bets” Byrtus; his son and best friend, Eric Byrtus, step son Ron Greeno, daughters Wendie Byrtus and Jennifer Hood and brother Kenneth. He was grandpa to Daniel, Christian, Nicholas and Bella Byrtus, Dominique Greeno and Monica and Mandy Flatin. He was loved deeply by his brothers and sister in laws Jim and Shirley Vendley of San Clemente, California, Jim Stockett of Nampa, Idaho and Don and carol Stockett of Granite Bay, California and many nieces and nephews. 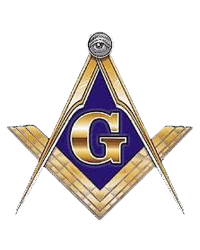 He was a Past Worshipful Master Mason in Brookings, Oregon and will have a Masonic service there in April.